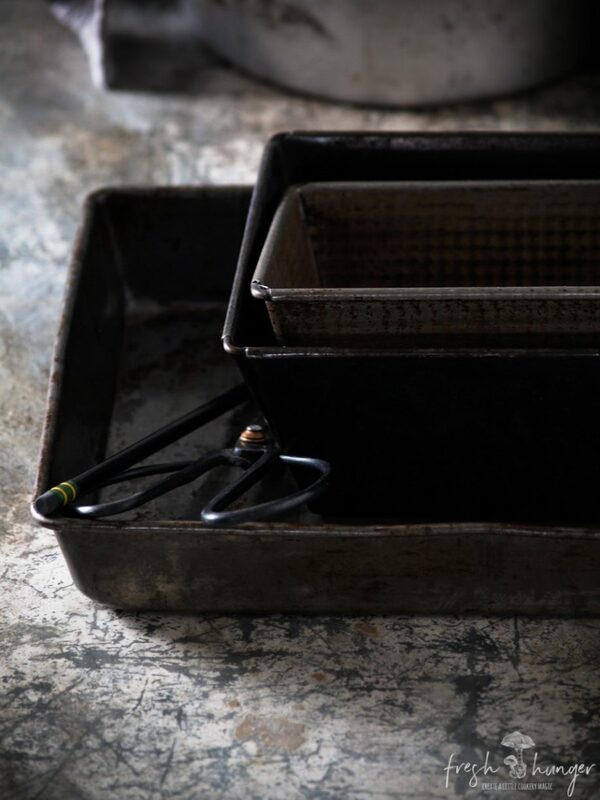 When it comes to greasing & lining a cake pan, many of us have our own methods. Some better than others. Most pretty standard, some do it the way our mum or nan taught us. Three years of culinary school didn’t teach me how to line a cake pan efficiently. Years of writing & testing recipes has taught me that. And watching what other people do who I’ve worked with over the years. These are fairly basic pans shapes most of us use regularly. And this is a quick cake pan lining 101 lesson. 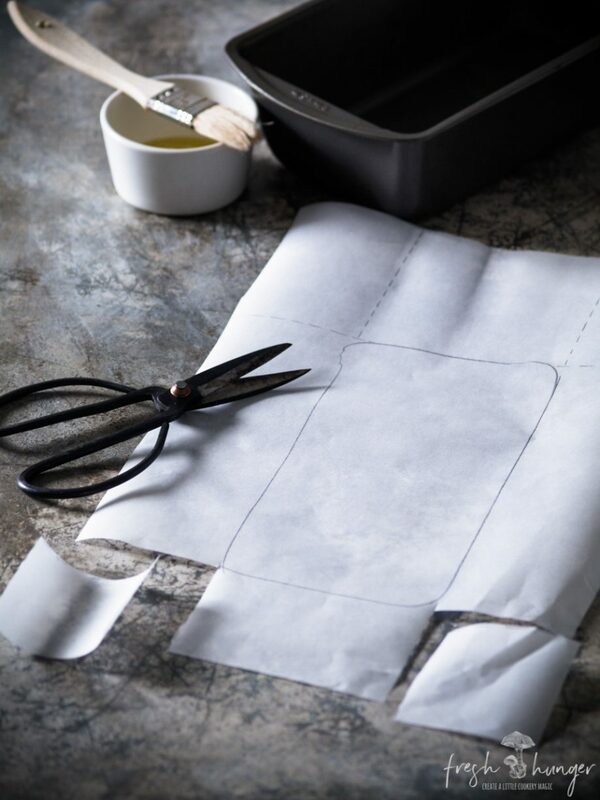 What you need for lining a cake pan the most efficient way is a cooking spray, parchment/baking paper (non-stick baking paper – NOT waxed paper), a pencil (that doesn’t contain led) & scissors oh & a pan of course. As a rule – dark pans give a darker crust than lighter pans. Glass pans give you the best browning (think a fruit pie). And the thinner the pan generally the faster & more efficiently the baked good will cook. If you’re wanting to cook a cake that take a few hours – say a fruit cake, then opt for a pan that has a thicker base & side. 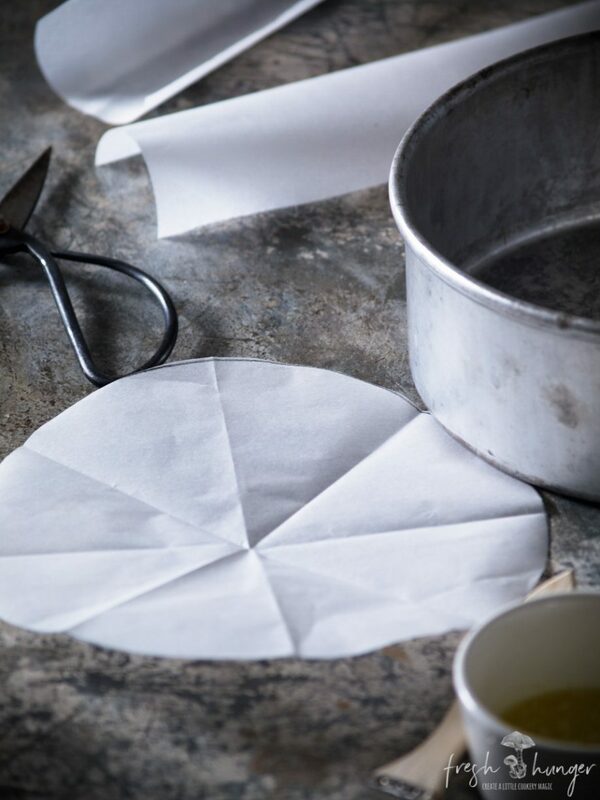 A round pan: Before greasing the pan, trace the base of the pan onto a piece of parchment paper. 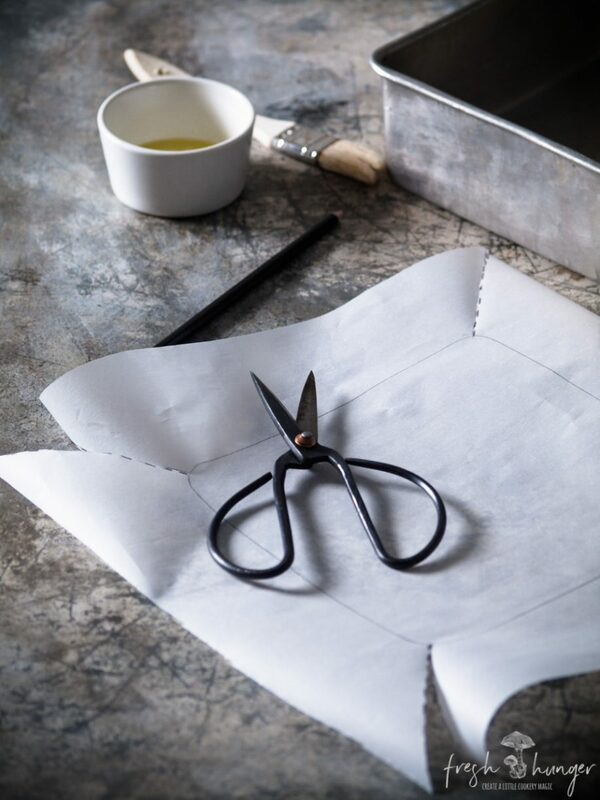 Cut one or two strips (depending on how wide your piece of paper is & the size of your pan) for lining the side of the pan & a round circle for the base. Fold the base piece of paper over so the lines meet up – giving you a half circle. 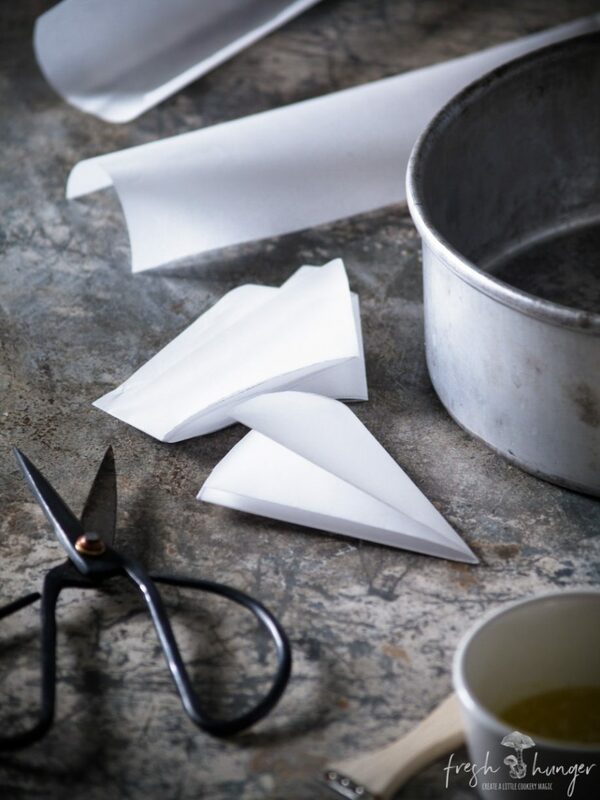 Now fold that in half again & again & again until you have a small wedge as show in the photo above. 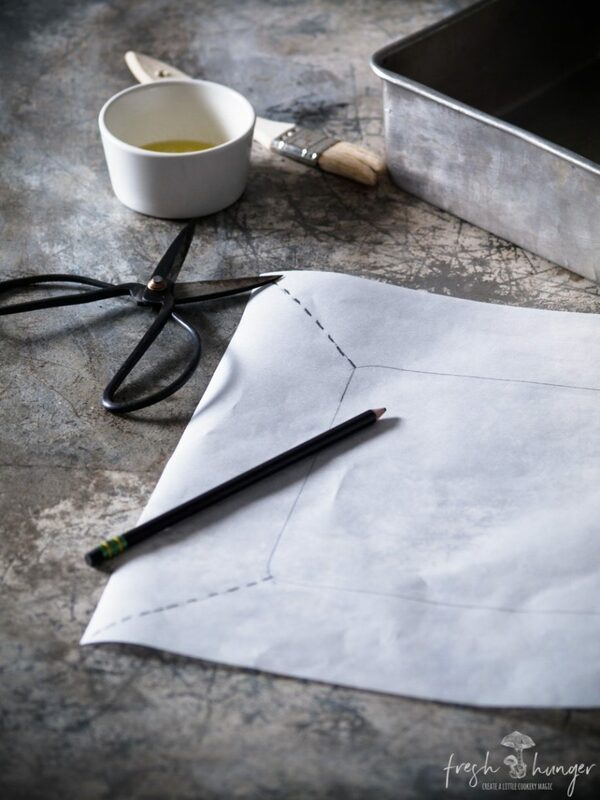 Then simply cut one short curve along the traced line, unfold the circle, spray or brush the pan with some melted butter & place the circle of paper into the bottom of the pan & the strip/strips around the side. 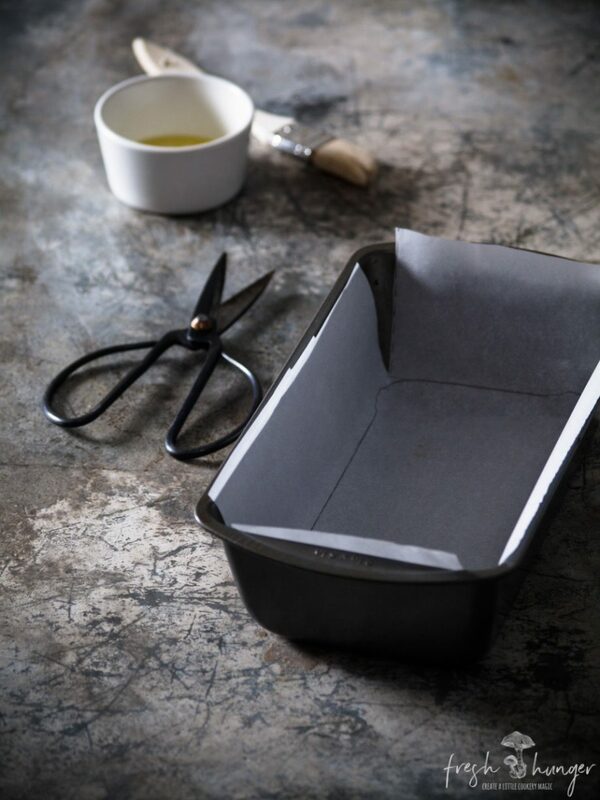 For lining a loaf pan, square pan or rectangular pan, there’s a couple of ways to do that, that are easy. 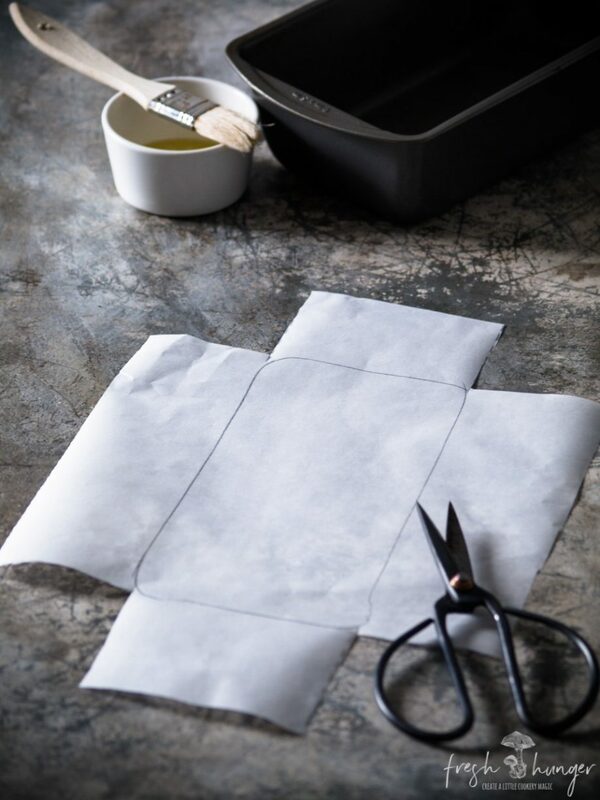 Trace the base of the pan onto a sheet of parchment paper. Then cut out the corners, I’ve drawn dotted lines for where to cut but it’s not necessary for you to do this, I usually just eyeball it. This is what you end up with. 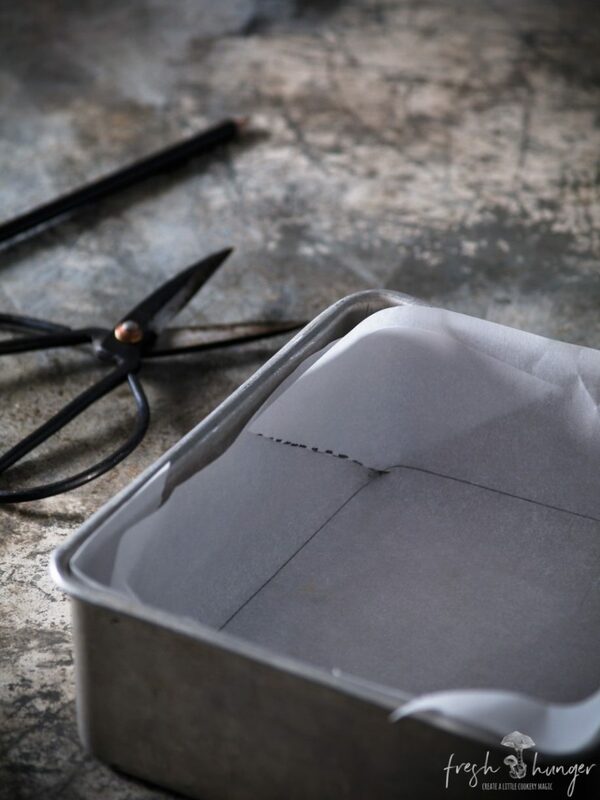 Then grease the pan & simply insert the paper into the pan. The flaps will cover the ends & both sides. I usually turn the paper over so the pen or pencil markings are on the underside. Here I’ve faced them up so you can see them easily. Once again, trace the bottom of the ungreased pan onto parchment paper. 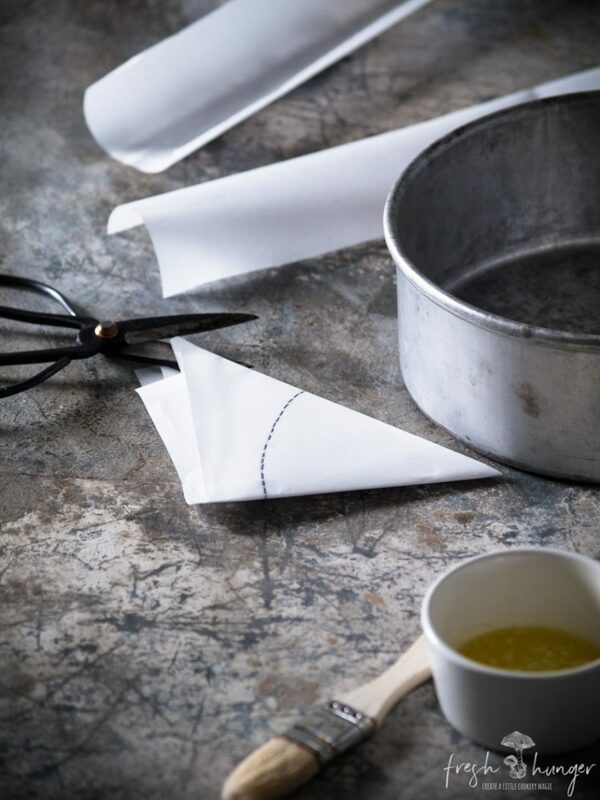 Then cut diagonally into each corner – you can see where I have drawn the dotted lines. Grease your pan & fit the paper into it. 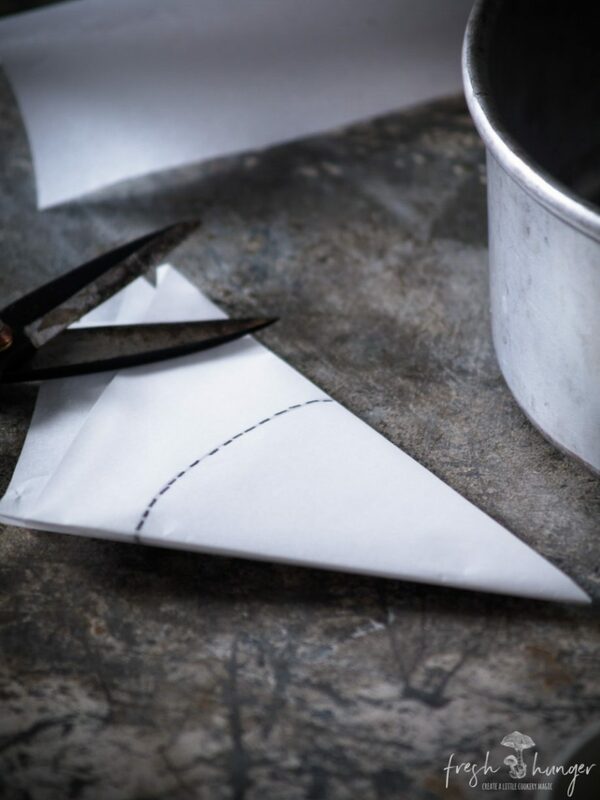 This method of lining ensures the corners are completely covered in paper.